*Players are only allowed to purchase up to one booster box. Please check the details at your local stores. *We seek your understanding that the prizes might change without notice. 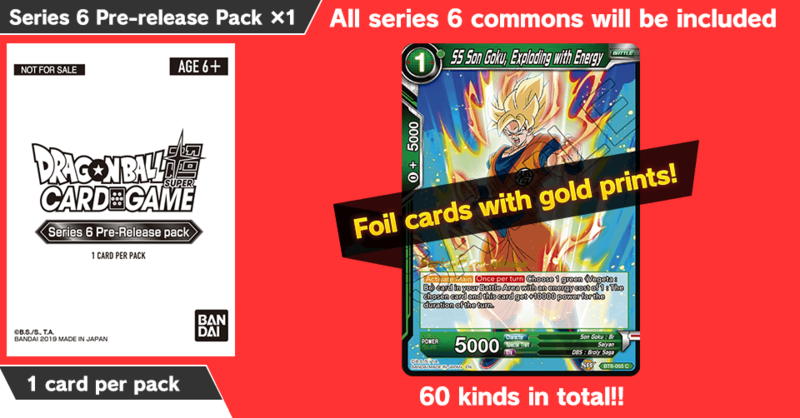 Get 2 Series 6 Special Pack Sets (DBS-SP06) from the store, build a deck with the cards you open, and play! Everyone who joins the tournament gets 1 Series 6 Pre-release Pack. *Players can’t use any cards they already own and are advised to get Special Pack sets from the store on the day of the tournament. *Series 6 Pre-release Pack can be used at this tournament.